I’m currently taking part in the TD Go Green Challenge! Please take a look at our video and if you like it – please vote! Thanks and I really appreciate your help! 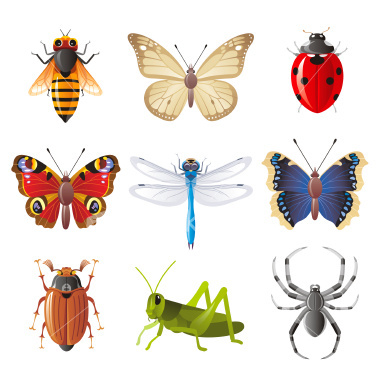 I just wanted to let you know about the Bugs Without Borders organization, which educates children about the importance of animals, especially insects and reptiles. You should definitely check it out and if you happen to have kids and live in Toronto why not even sign them up for the Bugs Camp? In my opinion, it is of great importance that children start appreciating our natural world from when they are very young. If they develop a deep connection with nature they will be able to keep it throughout their life and share it with many more people around them. Children growing up in our modern urban societies don’t have as much interaction with nature and wild animals, which may make them indifferent to our global environmental problems. That’s why programs like these are so important and valuable. Throughout their camp experience children will learn and interact with animals from various families such as Insects, Amphibians, Reptiles, Arachnids, and many more! How amazing is that!? Bugs without borders also offers educational programs to schools as well as corporate and private events. Next week I will be helping out with one of their many events during the Earth Day, I’ll let you know how it goes! These babies are soo cute I will really feel bad eating them. They were really easy to grow too. Just rinsing with some fresh water for about three days and there you go – ready to eat! I have used Mumm`s sprouts purchased from Noah`s natrual foods in Toronto – they`re organic too! How could I ever forget this little thing!? I think this was the object that has pushed me to start this whole blogging thing – I wanted to let the world know that I love, yes I absolutely adore the Diva Cup! Never ever before have I had such happy periods than I do now with the Diva Cup. Here are some of the most obvious benefits: You do not contribute to the landfill waste and save lots of money- there are no more pads or tampons to buy – all you need to have a happy green period is a little Diva cup. The most surprising thing is that you never feel the thing inside of you. And sometimes it gets me scared that it’s so comfortable that I will forget it inside and won’t remember about it at all for a few days 🙂 That haven’t happened yet, and I really hope it won’t. My best compliments are to reliability of the Diva Cup – you can do spinning, turbo kicking, biking outside, jogging, basically anything your heart desires for approximately 10 or so hours and it will not leak or even give you a hint of it’s presence! Like Vanessa Farquharson said in her novel ‘Sleeping Naked is Green’ – every woman should have one! So I’ve never used fresh basil in my life, but decided to buy this guy just because he was organic and in the biodegradable pot. Not only that, but he was grown in Kitchener, Ontario, which is pretty close to where I live. And probably the biggest reason I’ve grabbed it was that this basil was on sale for only 2.99! I’ve got no idea yet where to use it or how to cook it, so for now it will serve as a pretty houseplant! Just bought this one yesterday. I had one already which was given to me free during the Environment Week at the university campus, but this one looked sooo “green”, natural, and pretty I just couldn’t stand back from buying it. P.S. Stainless steel bottles are recyclable, inert, do not contain BPA, can last up to 100 years (that’s what the company claims) if taken care of, and can save you a lot of money as well as prevent plastic bottle waste from going to the landfill. Everyone should have one!